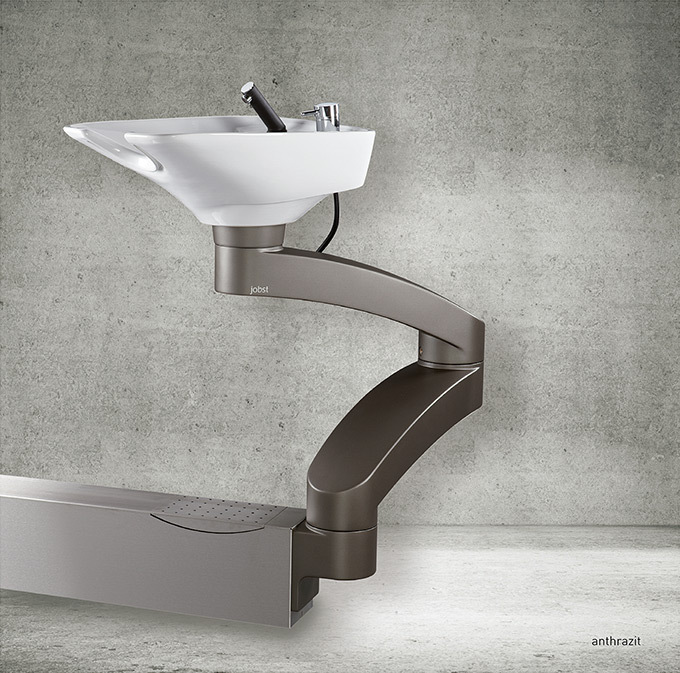 As a leading global manufacturer of rearward washing units, we only use the best quality materials for our equipment. 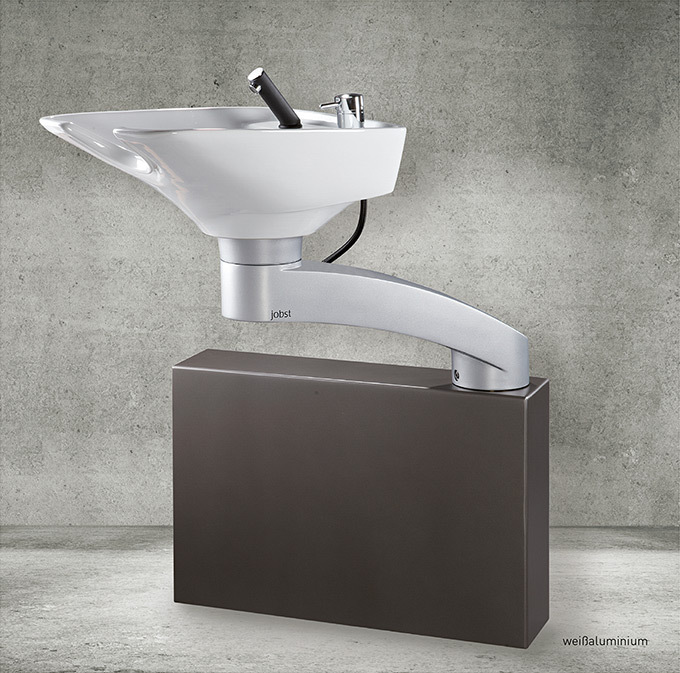 The basic unit consists of a robust aluminium casting, enamelled with polyurethane resin. 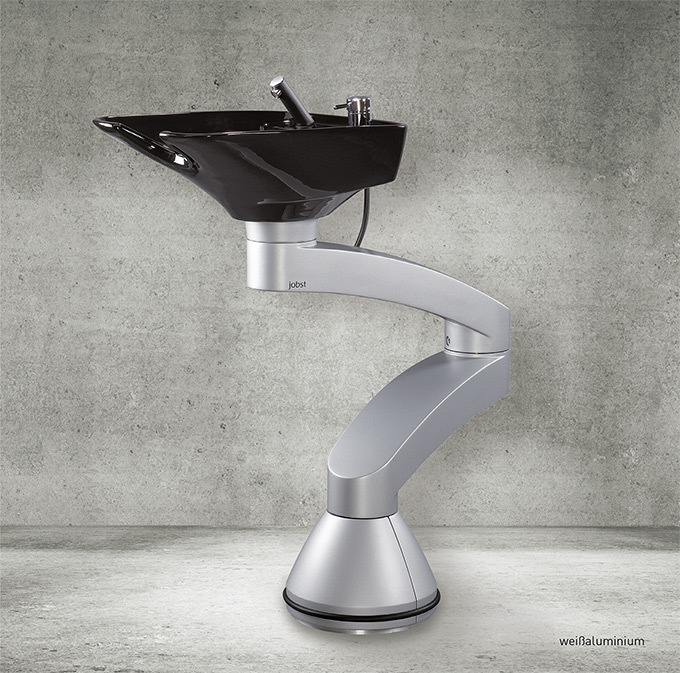 The washing unit joints can be turned through 360° without a stop, fitted with low-maintenance technology. 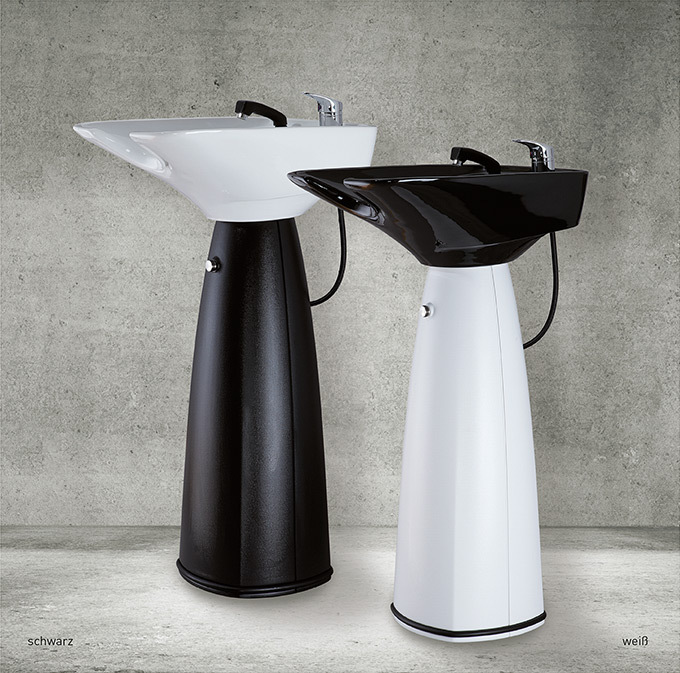 The corresponding porcelain washbasin in white or black can likewise be turned through 360° and is tiltable, incl. single lever mixer tap with ceramic seal. It is delivered complete with a mounting ring for floor mounting or with mounting bracket for the wall version, depending on the model, incl. siphon and stopcocks for hot and cold water. Long term spare parts supply guaranteed. 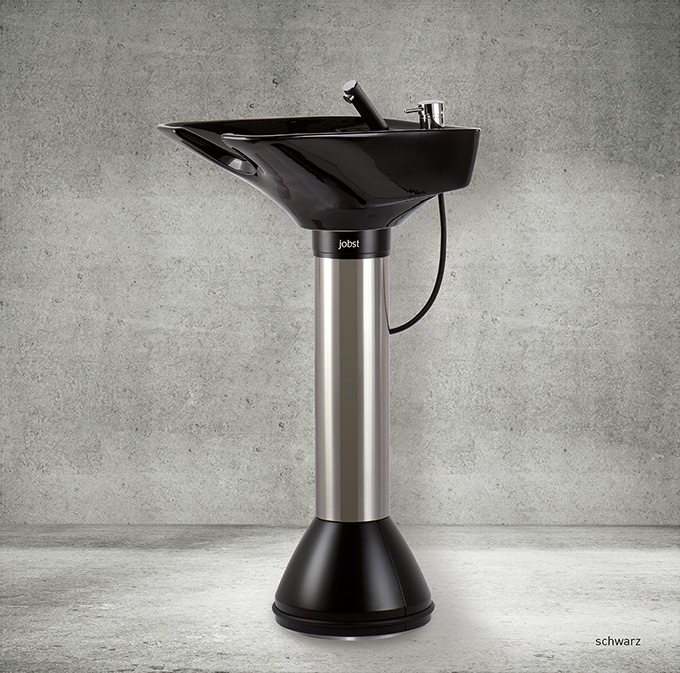 The washing columns in the Contura and Campus ranges offer a space-saving solution. There are a wide variety of models. 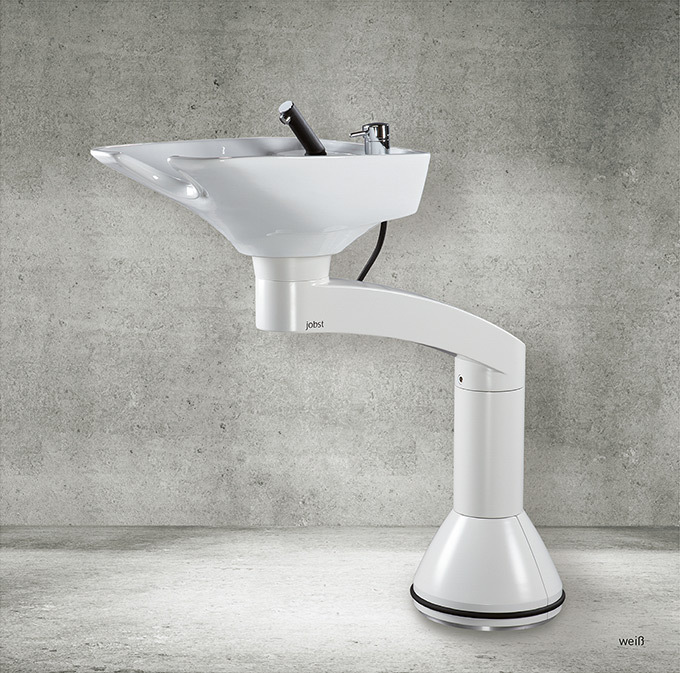 Whether made from stainless steel, with conical feet, enamelled in a variety of colours or the low-price variant with a plastic coating in white or black all the way up to GRP glass-fibre reinforced plastic, enamelled in colour, with larger washbasins. 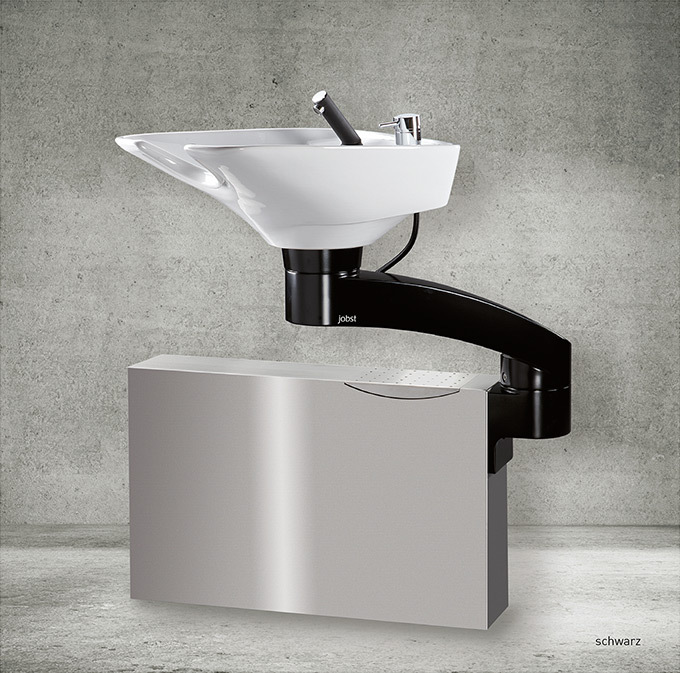 The porcelain washbasins in white or black can likewise be turned through 360° and are tiltable, incl. 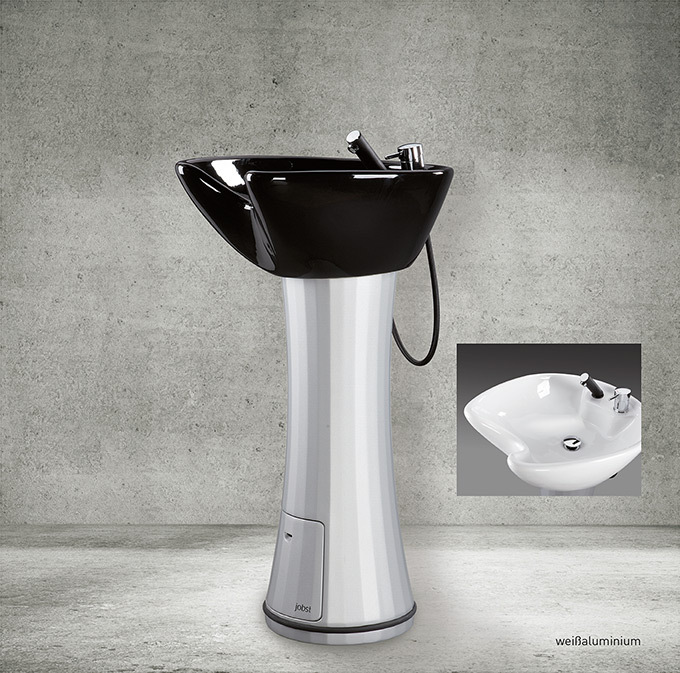 single lever mixer tap with ceramic seal. They are delivered complete with mounting ring – excluding the Campus model which does not require one – incl. siphon and stopcocks for hot and cold water.